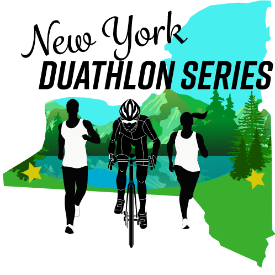 Start & End your season with this fun Duathlon Series. A great speed work out for veterans and a perfect beginner level event for those considering entering the world of multi-sport. Race dates are: April 20, May 11 and September 7. Held in the Town of Randolph, NY in the southern tier, one mile from Exit 16 off of I-86. This lovely course will start and finish at Weeden Park on Weeden Road (off of Main Street or Rt 394) with an out and back run down Weeden Road, back to the park and out to Rt 394, Price Corners, Coldspring Road back to Main Street and Weeden Road. Then finish with an additional run on the same run course as the first. 2 mile run, 10 mile bike, 2 mile run. Overall and age group awards will be presented immediately following race. Series awards will be presented for Overall Top 3 Men/Women at the September race. Event is USAT sanctioned. All USAT rules and regulations apply. If not a current USAT member, you will be required to purchase one day event coverage for $15 ($10 for ages 17 & Under). 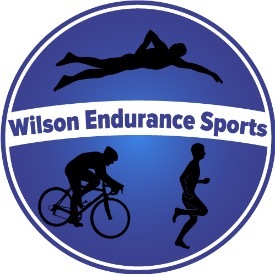 There is no refund for this event, however; with advance notice you may be able to defer your regsitration or transfer to another Wilson Endurance Sport event. Held rain or shine. Pot luck picnic afterwards including beef stew, beverages, STBC beer, all paper and plastic products provided. Bring a dish to share, or not, everyone including spectators are welcome to join in.